New General Mills cereal coupons will make for an awesome deal on Cinnamon Toast Crunch at Walgreens next week. This deal starts on Sunday, 4/5. Print this 50¢ off coupon and pair it with a SavingStar offer. 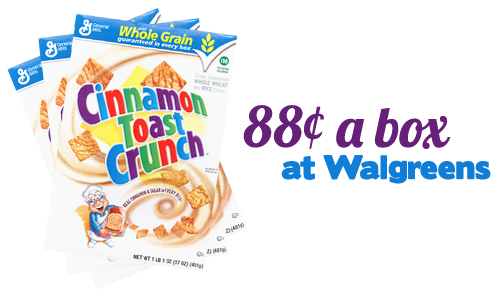 You get Cinnamon Toast Crunch for 88¢ a box! 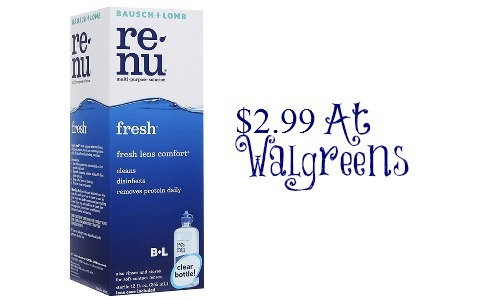 Check out the Walgreens ad for more deals.